Now it is America’s turn! 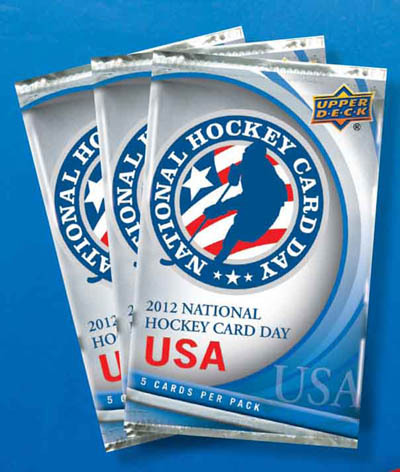 National Hockey Card Day in the United States is on Saturday, February 16. Visit a participating card shop and receive a free pack of exclusive Upper Deck trading cards. Each pack contains 5 cards from the 15-card set. A 16th card–of Jonathan Quick hoisting the Stanley Cup–is available if you make … Continue reading "National Hockey Card Day in the USA is Saturday, February 16, 2013"